The crash happened at about 2:00 am (0200 GMT) in the Bono East region, some 430 kilometres (270 miles) by road north of the capital, Accra, reports AFP. 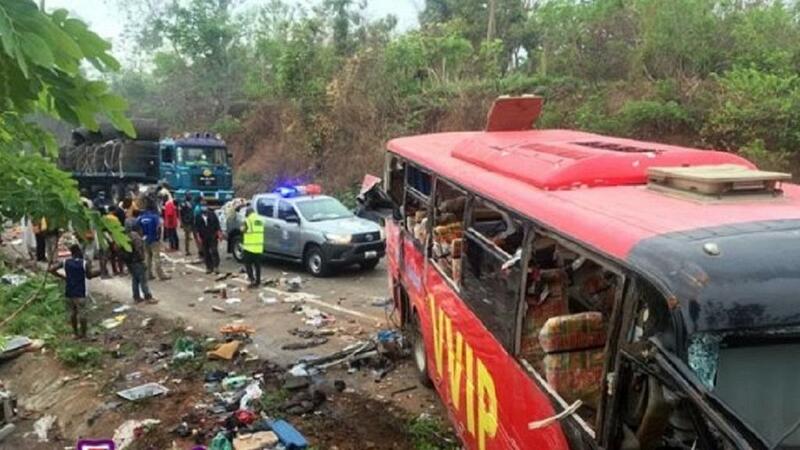 The buses were each carrying about 50 passengers at the time of the crash. Emergency services were at the scene, including firefighters to put out the blazing vehicles.